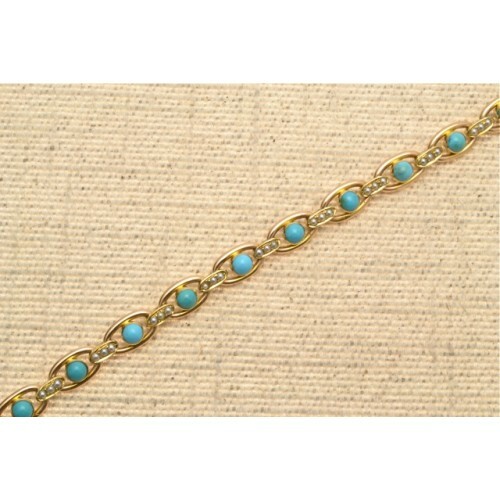 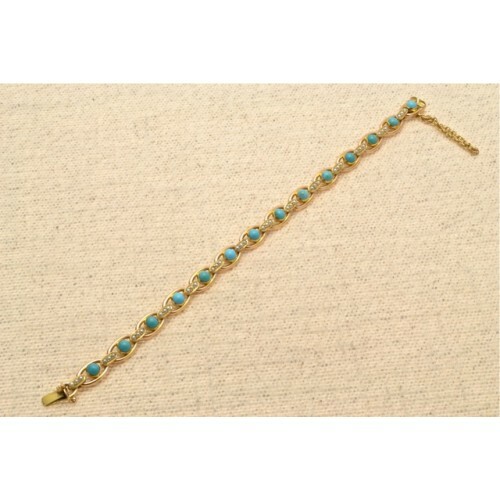 Fine Victorian 15ct gold set Turquoise and Seed Pearl bracelet. 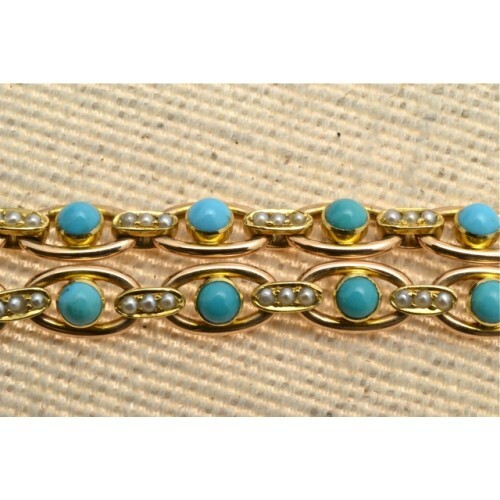 Antique Victorian 15ct gold set bracelet, having 14 cabochon cut Turquoise stones in rub-over mount interspersed with 14 oval gold sections set with three seed Pearls in each. 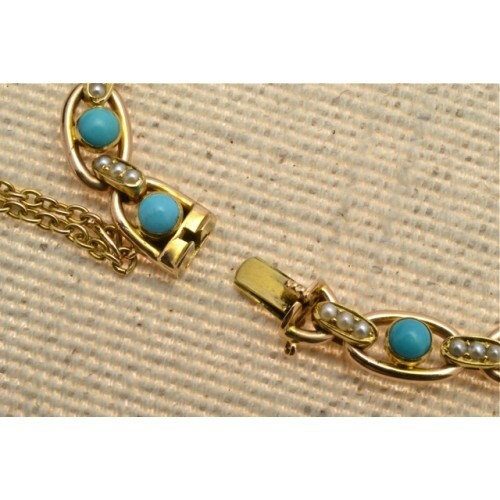 Integrated clasp hallmarked 15ct. 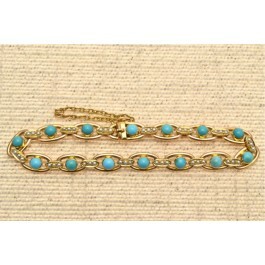 with safety chain. 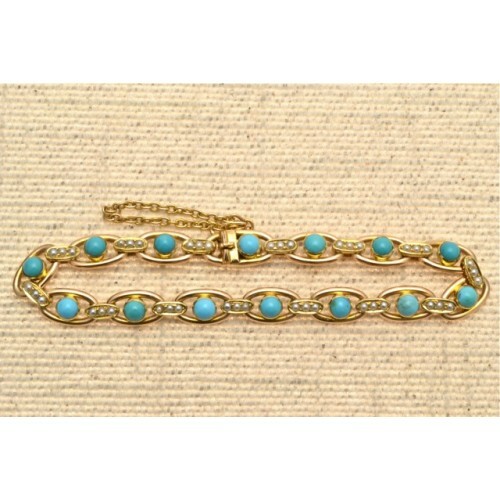 This bracelet is in mint condition and is a very fine piece.